Funny how I can forget about something so lovely, until a blogger like Damask Love reminds me of it. Case in point: beaded glass. I love how it looks but I don't see it very often. I could scour a second-hand shop and hope to get lucky, or maybe mom still has some in her china cabinet. But, lucky for me/us, Damask Love shows how we can make our own using dots of Crystal Clear Glass Paint. Check out the tutorial here. This is amazing! 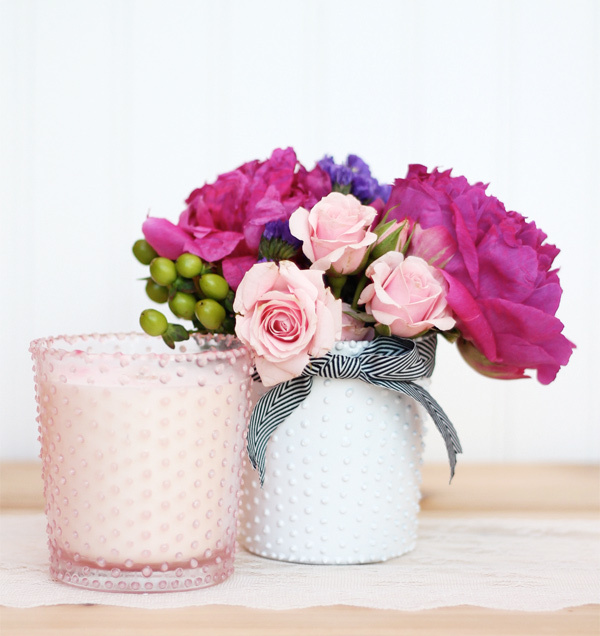 Love the look of vintage 'hobnail' or 'milk glass' so am thrilled to know it can be simulated!